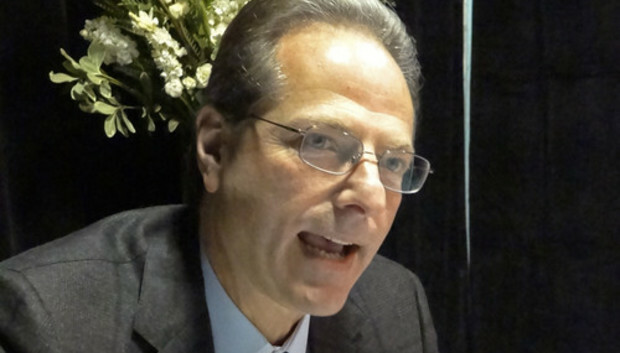 The chip industry is in for major changes in the coming years, according to Broadcom Chairman and Chief Technical Officer Henry Samueli. In 1991, he co-founded the communications chip giant, which today brings in annual revenue of more than US$8 billion from components for all manner of network, business and consumer products. At a pre-CES event in San Francisco earlier this week, Samueli visited from the company's Irvine, California, headquarters and sat down with IDG News Service to talk about devices, mobile networks and the uncertain future of silicon. This is an edited transcript of the conversation. IDG News Service: Is Broadcom working on 5G cellular yet? Henry Samueli: Just from a conceptual stage. We don't have any active development programs, but we have people in the standards bodies. In fact, now that we've acquired Renesas Mobile, there was a whole team as part of that Renesas Mobile team that was focused on advanced standards. Many of those folks are looking at different flavors of LTE-Advanced, but then also looking at what's even beyond that and in the so-called 5G space, where you have these ultra-dense small cells, and beam steering antennas. So it's more exploratory front-end work but no actual product development, of course. IDGNS: What more can you do about the battery life on my phone? Samueli: As you go from 28nm to 16nm to 10nm, the power dissipation of these chips does go down. Unfortunately, people are still running uphill on the speed wars and trying to build faster cores that are running at 2GHz, 2.5GHz, 3GHz. That drives the power back up again. Assuming you can level off and say, well, 2GHz is fast enough, and then you migrate to the next technology, power will actually go down. Better power management and more advanced process technologies should get us more battery life. But you're not going to get a week, versus a day now. You're not going to see quantum jumps, unfortunately. Battery technology is just incrementally getting better, not significantly. I don't see us ever getting away from overnight charging of cellphones. IDGNS: Is Broadcom willing to call a halt to the speed wars? Samueli: It's difficult. It almost has to be an industry decision. Because people like a bigger number on the box (even though) the experience may not be any different. It's keeping up with the Joneses. You have to do it, but eventually I think the industry will decide battery life is more important than an extra few hundred megahertz of clock rate. Apple is already there. The designed their apps processor that's just what they need to make iOS 7 work. IDGNS: Apple is in a better position than Broadcom to pick a speed and stick with it, because you need to serve different OSes. Samueli: Exactly. We have to serve everybody, and if they have to have a faster processor, we have to have it. So I think we'll still experience a few years of racing to speed, but eventually it will level off and people will decide that battery life is more important. IDGNS: What about reception? Is there anything you can do to make the reception on my phone better? Samueli: Yes. And that will happen with LTE-Advanced and 5G. You need smaller cell sizes, basically, is really the most important thing. And the so-called MIMO [multiple in, multiple out] technologies, multiple antennas, (which has) already proven its worth in Wi-Fi. But the bottom line is, the closer you are to the access point or cellular infrastructure, the more robust the signal is. But that takes many, many years to deploy. IDGNS: You've seen a few booms and busts. Are we in a bubble right now? Samueli: I don't see it as a bubble. Certainly on the semiconductor side there's no bubble. But there is certainly a lot of excitement in the software and social networking world, so maybe there's a little bit more in that segment than on the hardware side. But it's still nowhere near it was back in 1998-99. IDGNS: Is the end of Moore's Law coming? Samueli: It's not happening now, but we can see it in front of us. If you look forward 15 years, we're in 28nm today, people are working on 16nm, 14nm, then there's talk of 10nm beyond that, and from 10nm, maybe you to 7nm, and then maybe 5nm. But it's not obvious to me that we're going to get much beyond that. So, we have maybe three more generations of Moore's Law before we kind of run out of steam. If you look at a 5nm transistor, the atoms of silicon are separated by half a nanometer. So that means in a 5nm gate, you have 10 silicon atoms traversing the gate. You can count the atoms on your fingers. I'm not convinced we can get much beyond that. That may well be another 15 years, and we've reached the end of the road for Moore's Law. Samueli: It's not obvious what's next, because it's a fundamental physical limit. You need material there, you need molecules and atoms, and we're just running out of space. You can't create a transistor out of nothing. IDGNS: Presumably, you're doing something about this, or thinking about it. Samueli: Well, we're thinking a lot about it. It creates an opportunity for companies to become a little more innovative in how they design chips, knowing they're not going to be just running to the next node to shrink them. If you look at the whole analog IC [integrated circuit] industry today, it's based on using older technologies. And they use innovation in the design, as opposed to innovation in the process, to create their products. I think similar types of things are going to happen in the digital world, too. But again, eventually, the end user is no longer going to be able to buy a faster computer or a faster cellphone. It's going to level off at some point 15, 20 years from now.